What can one say about this recipe? It’s easy, and it’s so much better than boiling, and it’s fabulous. It’s one of the best corn on the cobs, I have had in my life. I bought this package at Trader Joe’s, which was awesome because they were already cut for me, I knew that they would fit in my air fryer. What, I didn’t realize that I would have them done in 10 minutes, and the flavor is unlike anything I have ever had. I am envisioning using this in my corn chowder since the flavor of the corn is so intense. And, all it needed was me to rub the vegetable oil, and season it with salt and pepper, this recipe is a keeper. Especially since BBQ season is right around the corner, and it will be perfect on Memorial Day or 4th of July, picnics, family reunions, and other special occasions. The best thing about these corns is the crunch, and the butter flavor, even though I didn’t use any butter. Put these on your next week’s menu, for a flavor that is unlike any. Start by husking the corn, so you only have the corn left. 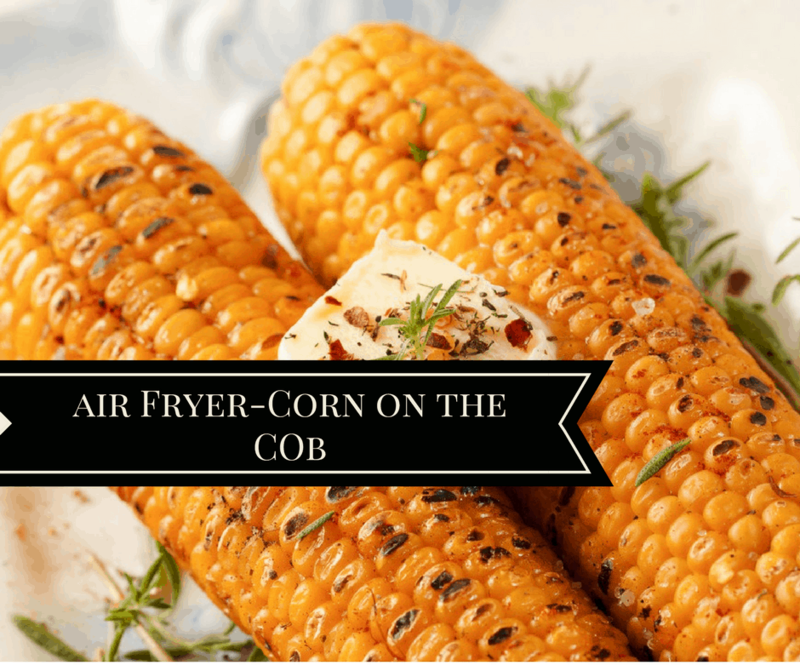 Cut the corn in half, so it fits in your air fryer basket. Set the temperature to 400 degrees F, for 5 minutes, after 5 minutes, flip it, and add another 5 minutes.